The ibis Albi hotel is located in the city center, 0.6 miles (1 km) from the train station. A UNESCO World Heritage Site featuring the Episcopal City of Albi, home to the Cathedral of Sainte-Cécile and the Museum Toulouse-Lautrec, is easily accessible on foot in just a few minutes. It offers 60 air-conditioned rooms and has a paying car park and a bar open 24 hours a day for snacks and light bites. Restaurants can also be found nearby. At the heart of Albi, 2 mins from Toulouse Lautrec museum and Sainte-Cécile cathedral. 5 mins from racing track and exhibition center. Pleasant stay and friendly staff. Shame the restaurant was closed Saturday evening. Hotel close to the centre of Albi, clean and comfortable quiet room. Secure parking both surface and underground. All you can eat continental breakfast. Check in easy with an area to unload luggage from car with room ample size for 2 adults and pull out bed for 4 year old. Quiet room which was clean and modern Breakfast excellent value and easy checkout - all in all it was a good experience and was a repeat visit for us as it's the most convenient Hotel in Albi for us. Enjoyed the stay, that included breakfast, parking was available for a nominated cost. The room we were provided was handicap room with a &quot;wet&quot; bathroom. There was no shower curtain which made it difficult to contain shower water in the bathroom. It was exactly what we expected: clean, comfortable, close to city, easy. Albi was a stopover on the drive to the Pyrenees, so we wanted somewhere that was easy to stay. We also needed a secure car park as we had expensive bikes in the car. The staff were very friendly and helpful. Room was just what we needed. Front desk staff friendly and efficient. Spacious room with a comfortable bed (room 412). Bathroom let the hotel down - although there was a rail for adjusting the height of the shower it had been stuck in a position halfway down the side of the rail making it impossible to stand under the water and the jet of water was projected into the bathroom, soaking everything because there was no shower curtain. We were told this is because the room was equipped for handicapped people and could not be changed. We were offered another smaller room but opted to keep the space. Free Wifi for checking emails and the internet was up to speed, we did not opt for the paid higher level for streaming. The bar has a limited range of drinks. Very nice! Cosy and clean. This Ibis is well located for exploring the centre of Albi and has good parking at a reasonable cost. Room was standard Ibis room, which we are quite happy with. Problem is the staff were not very welcoming and did not make you feel appreciated as a guest - in fact had to wait some time for someone to serve at the bar as the staff were having a conversation between themselves and ignoring guest needs. Nice room (updated since last stay), breakfast good as usual. Air conditioning not working. Despite being a silver member I was not offered welcome drink. No explaination given of the two llevels of breakfast. In the Ibis section there were only 2 conventional tables where one could sit and eat breakfast. I have no wish to eat either sat at a bar or at a coffee table. I am sure the person who approved the design thought they were being very clever. They were not! We found your staff extremely helpful, and this added so much to our short break in Albi. We are very grateful to the gentleman on reception as he was able to help us with all our queries. 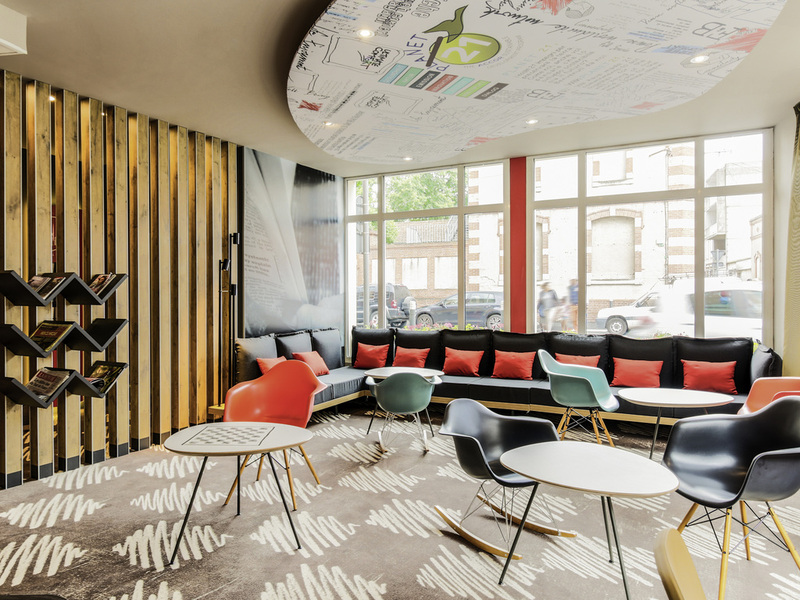 The usual high standard and consistency found throughout Ibis Hotels - convenience, cleanliness and the politeness of the staff. The room &amp; breakfast were fine. However, it was not explained to us in advance that parking in the garage cost an extra 6 Euros, though, in retrospect, I was happy to pay that amount. HOWEVER, when the bill arrive by e-mail it showed a charge of an EXTRA 19,80 Euros for breakfast - breakfast was INCLUDED in my booking reservation! I have sent 2 e-mails to h5… asking for a refund - neither e-mail has been acknowledged or answered to date. When wrote to Mercure at Saumur about a similar problem I was answered the same day. I am NOT happy with the after-sales service from this IBIS. As above - always a pleasant stay. The room was clean, excellent breakfast, a good choice for a short saty.